Keep Your Eye on the Ball | Volunteer Eyecare | Knoxville, TN | Keep Your Eye on the Ball: Student Athletes Need Good Vision It’s Fall, and for a lot of kids, that means it’s prime sports-playing time. It’s Fall, and for a lot of kids, that means it’s prime sports-playing time. Whether you have a student athlete participating in soccer, tennis, football, basketball, softball, baseball or lacrosse — or any other action-packed sport — you know it’s essential to help your child take care of both body and mind as they train for the game. But how healthy are your child’s eyes? Visual fitness can make or break an athlete’s game. An athlete with strong functional vision is able to quickly identify how an object (for example, the game ball) relates to the space in which it is moving. In other words, functional vision allows accurate depth perception. Functional vision and depth perception are relevant in every sport that requires visual tracking – which is pretty much every sport. 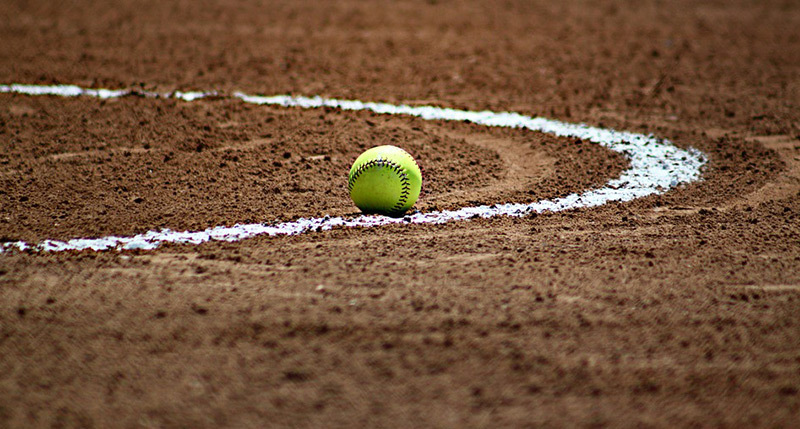 When the batter is up in baseball or softball, they use eye teaming, focus and tracking skills to judge whether the pitch is good and determine if they should swing — all in a fraction of a second. In football, the wide receiver (while running!) uses every asset in his functional vision arsenal to visualize where the ball will land as it moves through the air, and therefore how fast to run and position himself for the catch. These are amazing human feats requiring a range of skills that we’ve all witnessed first-hand — but their successful execution is due in large part to functional vision. Advanced athletes, including college, Olympic and professional athletes at the very highest levels, often undergo specialized training to hone their functional vision skills and improve their game performance. Even students who exhibit 20/20 vision or already wear corrective lenses may still have undiagnosed vision challenges that can interfere with their ability to excel at sports. The two most common issues that interfere with visual perception are strabismus and amblyopia. Strabismus, commonly referred to as “crossed eyes,” and amblyopia, known as “lazy eye,” both derail visual processing by offering the brain two separate images — one from each eye — that do not match up well. Because the brain cannot overlay the two images to create a single 3-D picture, it suppresses the image from the weaker eye and learns to depend on the clearer, more accurate image provided by the stronger eye. As a result, depth perception is affected, sometimes dramatically. For student athletes who have one of these two common conditions, it’s much harder or sometimes impossible to judge where the ball is as it’s coming toward them, which can result in missed opportunities on the playing field. But there’s good news! If your child is suffering from an eye teaming, tracking, focusing or visualization issue, your optometrist can help. Strabismus and amblyopia are conditions that can be addressed and corrected when they are caught and treated early in life, ideally between the ages of 3 and 6. Unfortunately, school vision exams miss up to 60% of vision problems that can impact a student athlete’s performance, which is why scheduling an annual comprehensive eye exam with your optometrist is critical to your child’s eye health — and future sports performance! Your eye doctor will conduct thorough testing to detect any functional vision issues and recommend visual correction or specific treatment options to address these conditions so your student athlete will reach his or her fullest potential!